With warmer weather arriving, we’re in the mood for refreshing and healthy salad recipes. 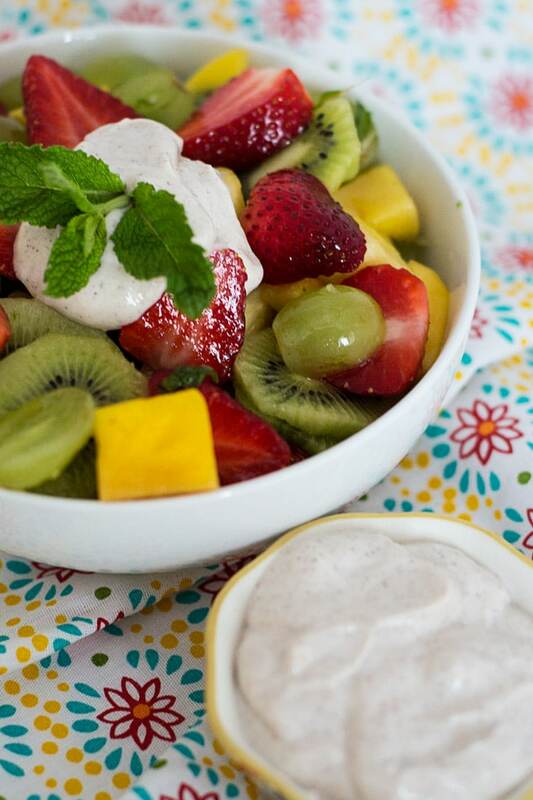 This tropical fruit salad with honey yogurt dip certainly fits the bill! And to save time and money, you can shop at your local Food Lion for all your summer salad essentials. I don’t know about you, but I’m constantly running to the grocery store. Luckily, Food Lion is just a few minutes away from our home, so it’s really convenient not only because of the location but also because of their Shop & Earn rewards program. You can view and track your rewards on FoodLion.com or in the mobile app, so it’s super simple to see what you have available. 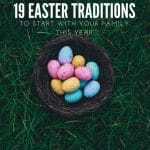 You don’t have to do anything complicated. Simply sign-in with your MVP Account (or register to get one)and activate your Shop & Earn rewards on the first of every month. You’ll earn rewards on top of your usual MVP savings, and the rewards are automatically redeemed the next time you go shopping. Easy peasy. You can see what’s available for this month by clicking on Shop & Earn. And after you begin shopping, you’ll start earning towards your rewards. Check out how much I earned just by shopping for ingredients for my favorite salad! 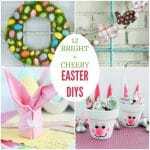 (Okay, I shopped for Easter candy and a few other things, too. It’s all about balance.) 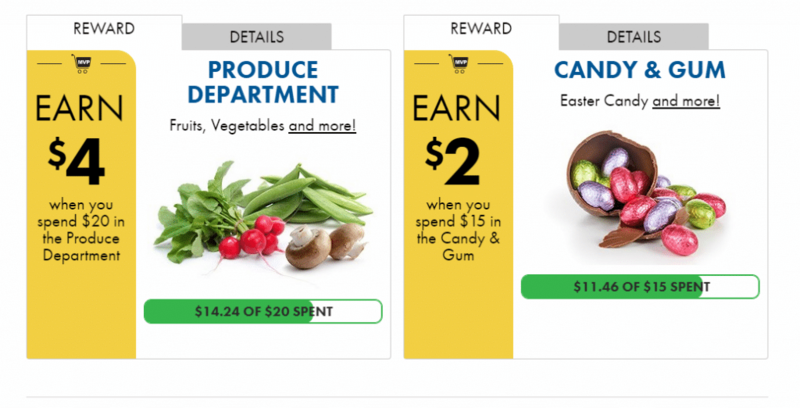 As you can see, I’m almost at my $20 needed to earn the $4 reward from shopping the produce department, and I’m nearly at the $2 reward for the candy and gum section. I’ll be able to use those rewards next month to save money on my grocery bill. How awesome is that? 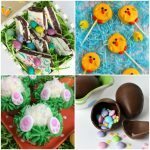 But let’s get to this totally amazing salad recipe… You can find even more recipes on the Fresh Ideas Blog. Gals and guys, when I say this salad is amazing, I really mean it. It’s fruity with a slight hint of mint, and it’s really refreshing. It’ll be such a yummy addition to your meal this spring and summer when you’re cooking on the grill or going on a picnic! Combine ingredients for yogurt dip in a medium bowl. Cover and place in refrigerator until ready to use. Combine grapes, pineapple and mango in a large salad bowl. Add pineapple juice, lime zest, lime juice and mint to the fruit. Toss gently to combine. Drizzle with honey (about 1 tablespoon), and gently stir to combine. Chill in refrigerator for at least one hour to allow the flavors to come together. 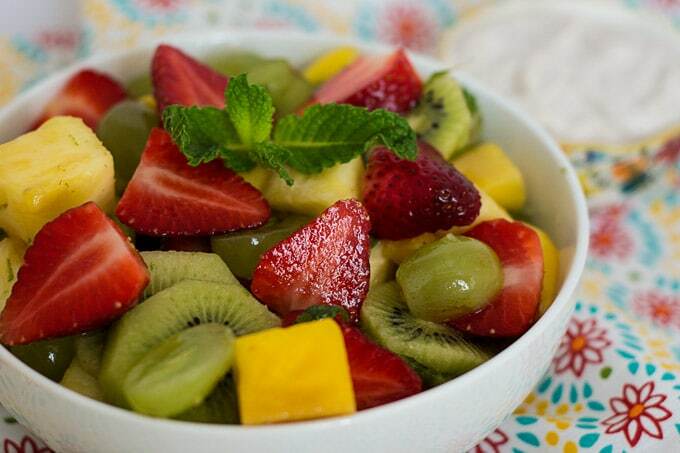 When ready to serve, add sliced strawberries and kiwi to the fruit salad. Gently stir to combine. 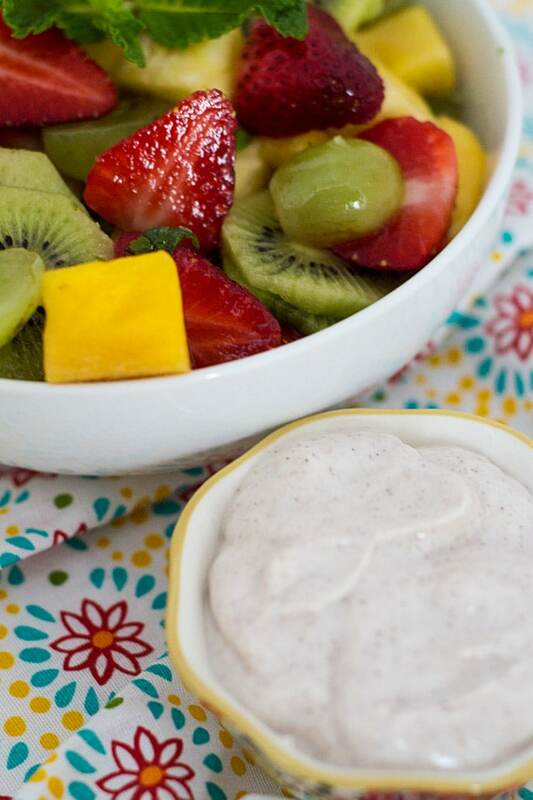 Serve immediately with honey cinnamon yogurt dip. Creating your shopping list has never been easier. Trust me, when I try to do it myself, it’s usually a disaster. I always forget something. But you can browse the weekly flyer, delicious recipes, and the coupons to add items to your shopping list. You can also add items manually. It saves so much time because you’ll also find the aisle number where the product is located in the store. 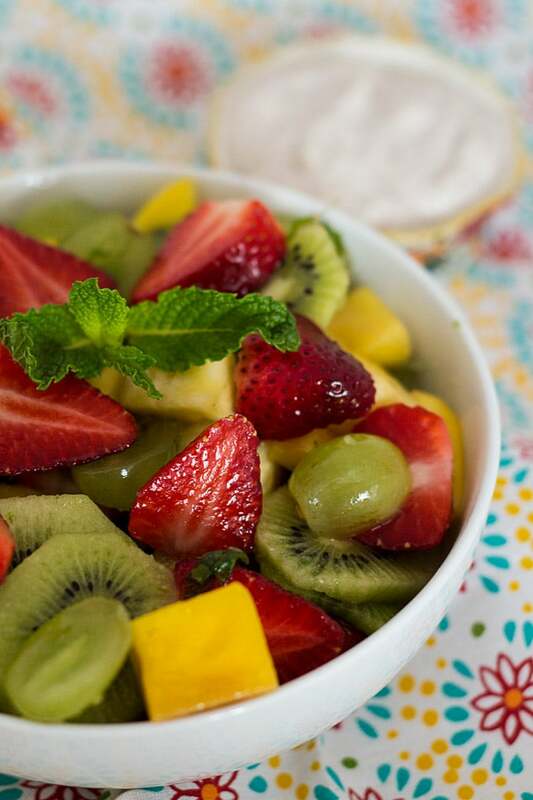 So, if you’d like to try this tropical fruit salad, add the items to your shopping list, and get going! You’ll be glad you did. 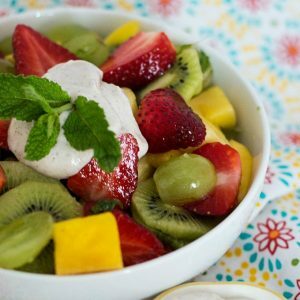 This tropical fruit salad is the perfect starter or side for your grilled dishes this spring and summer. With sweet strawberries, mango, kiwi, grapes, pineapple, and more, it's refreshing and good for you!